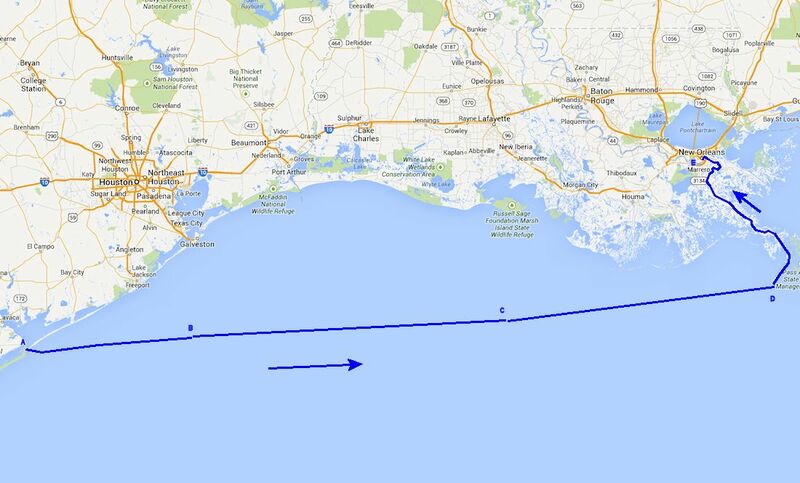 Today, the 16th Ohio travelled in their steamboats from near the mouth of the Mississippi River in the Gulf of Mexico to New Orleans, Louisiana. The voyage up the river took about 16 hours, arriving at 4:00 pm. These times relate directly to the portion of the16th Ohio on board the steamer Alliance. It is not known what time those of the 16th Ohio on board the Exact arrived, although it can be assumed they arrived earlier as that ship is not known to have experienced delays as did the Alliance. Upon arrival in New Orleans, the 16th Ohio were given quarters in a cotton yard or cotton press. The regiment received new French rifles of the same caliber as their old but with barrels longer by six inches. The regiment would spend only two nights in the city. Detailed period map showing the route of the 16th Ohio, on board the steam propeller ships Exact and Alliance, up the Mississippi River to New Orleans, Louisiana, April 21, 1864. Wide view modern day map showing the estimated route and location of the 16th Ohio, on board the steam propeller ships Exact and Alliance, on its voyage from Matagorda Island, Texas, to New Orleans, Louisiana, April 18 through 21, 1864. 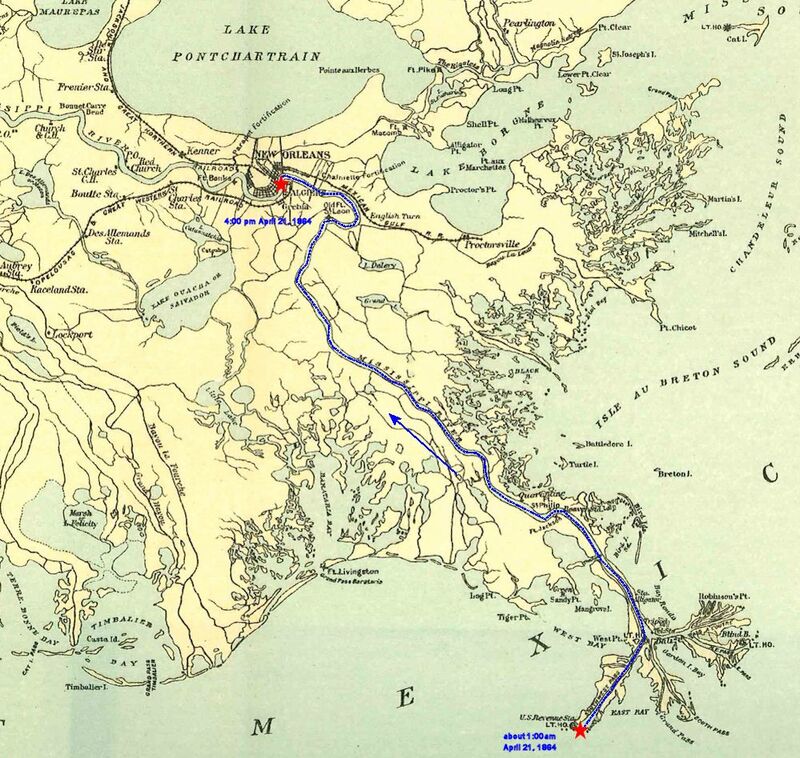 E - Route of the 16th Ohio, on board two steamships, back to New Orleans on April 21, 1864.